Pop down to your local Audi dealer in a few years' time and you could end up driving away a planet-saving electric car, rather than the Q7 'gas guzzlers' the company touts today. Company exec Rupert Stadler said over the weekend that electric cars were 'great opportunities' for the company... and that it plans to implement Vorprung durch Elektrizität within 5 to 10 years. 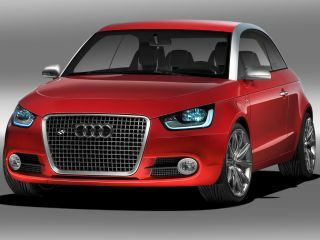 However motoring blog Autopia reckons that Audi won't sacrifice its sporty image in order to go green. It points out that Audi is currently focusing its efforts on powerful, efficient diesel engines for its motors, including the R10 race car, which dominated Le Mans. And that it's also working on hybrid drive trains... presumably for the Q7 'Chelsea tractor' and R8 sports coupé. The most likely recipient for the first all-electric engine is likely to be a spin-off of the Audi A1 Project Quattro concept that made its debut at the Tokyo Motor Show last October. It was equipped then with a hybrid electric / petrol power plant that enabled it to zoom from 0-60mph in 7.8 seconds, and reach a top speed of 124mph. You need the supporting infrastructure in towns and cities to enable you to juice up your car anywhere - at your place of work or worship, at the shopping centre, etc. You need to ensure that that the source of electricity is sustainably sourced - a coal-fired power station isn't going to cut it. Battery technology needs to improve enormously. Current batteries are either too heavy or have too short a range. Then there's the public perception - today's electric vehicles aren't noted for their speed. Luckily Audi thinks it may even have a solution to that problem - it's going to throw money at it until it's solved. Stadler confirmed that Audi has a much bigger research budget than many of its rivals. This could help.